Eat,Talk and Play on a budget? To help you on your way with the Marriage week challenge to have a meal together, check out the discounts you can get at certain restaurants at vouchers.co.uk. Here you will find lots of discounts or meal deals. Do check the small print though as some deals are not valid on valentines day! 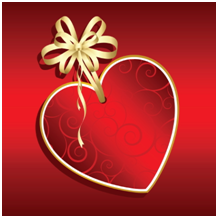 You can also check out the discounts on gifts and even interflora for even more romance! In our busy lives today, all too often we don’t make time for the most basic of social functions – eating together! So this Marriage Week, why not make the time to sit down together and share a meal for two?? If you can make the time, why not share the preparation – and the clearing up! If you haven’t got time to cook, how about a take-away, or a romantic meal at a local restaurant. Take time to savour the sights, smells and flavours of a great meal together. What does your daily communication as a couple consist of? Organising the family and home, questions about the kids, what needs to go on the shopping list? Or perhaps some of the big decisions of life – whether to move house, what new car to buy, your health or ailments? When was the last time you sat down and just talked about “you” – the challenges of life, what’s motivating you, what’s dragging you down, how it feels to be you – or perhaps your hopes and dreams for your future together? Make some time this week to sit down together just to “talk”! When we first fall in love life always seems to be full of fun – but as the years go by, sometimes we forget to play together! This week, why not make some time to do something together you both enjoy. It could be as simple as going for a walk, watching a movie together, or spending an evening in your local pub. Or of course you could do something adventurous – go para-gliding or bungee jumping! Or perhaps, you could just curl up together in front of a fire, and read stories to each other. Still short of ideas – download the guide to creating fun-filled dates. Whatever it is, try and find something you can both take part in, and which will remind you of the fun times in your relationship! I can’t believe it’s 4 years since I left my eldest for his first day at school and walked home, tears streaming down my face! 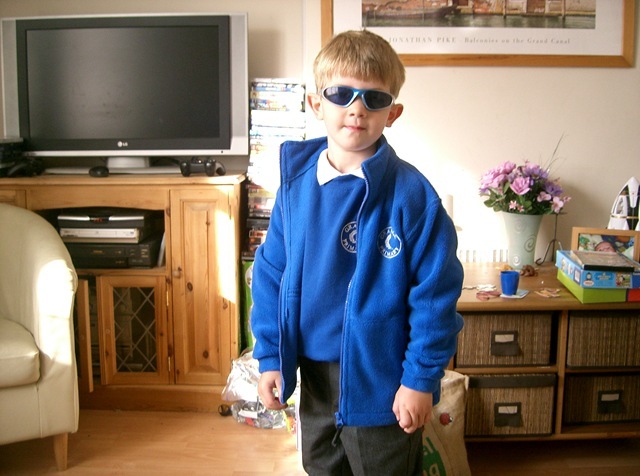 For some of you September is looming with trepidation as you face your child’s first day in “big school”.So with you in mind I have trawled various websites to see what is recommended to help your children (and you!) prepare for the big day, with a few of my own suggestions! Provide your child with opportunities to stay with other adults and mix with other children, such as Grandparents, uncles/aunts, friends etc. This helps them get used to having other people around outside the family home. Arrange play dates with children who are going to be in the same class if possible. Encourage your child to dress themselves and get used to the fastenings on their school uniform. That will make PE lessons easier for both them and your teacher as most schools have a separate PE kit. Help them become independent in using the toilet. Practice lunchtimes. If your children are taking a packed lunch, have some dry runs at home to ensure they can open containers and successfully use a juice box without getting it all down their uniform! Most supermarket websites have ideas for tasty, nutritious lunchboxes. If they are having school dinners, practice carrying a tray with a plate of food on. Get a copy of the menu for the first week and talk through what they might want to choose. Set up some painting and drawing, or another task which involves sitting down for short periods of time. Read books about starting school . We love Charlie and Lola! Involve your child in choosing things they need for school like school bags or uniforms. Establish a routine as the holidays come to an end for bedtimes and breakfast times. Visit the school with your child for open days etc. We also walked past the gates a few times during the holidays and talked about what buildings were what. Finally – buy a huge box of tissues for you to cram in your hand bag for that first morning!